Hello everyone and welcome back to another exciting “Pokemon Center Report”! 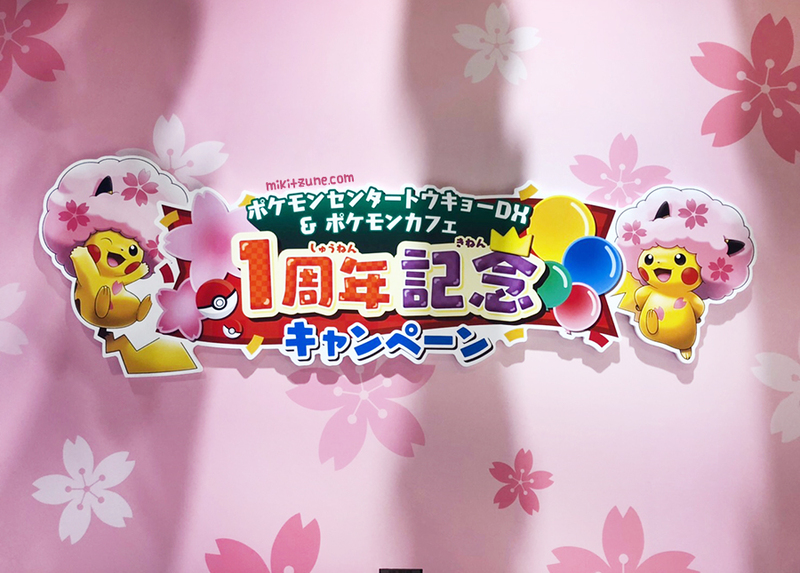 First up – the Tokyo DX Pokemon Center celebrated it’s first year anniversary this past Thursday (March 14th). Both the Center and the adjoining Pokemon Center cafe are currently in full cherry bloom with tons of pink blossom decorations everywhere, with the highlight being an extra adorable sakura afro Pikachu. Along with the decorations and limited food menu over at the cafe, four Pikachu cosplay plush are currently available exclusively at the Tokyo DX Center location: Sakura Afro Pikachu, Ninja Pikachu, Sumo Pikachu, and Kabuki Pikachu. For those curious as to the theme of the Pikachu plush: Nihonbashi (where the Center is located) was originally the downtown center of Edo-Tokyo and still retains a lot of historical significance, along with being a major commercial and business neighborhood. Consequently, the theme for the Tokyo DX Center is very Meiji-era influenced. If you like traditional Japanese imagery as well as Pokemon, definitely consider making the Tokyo DX Center one of your must stops if visiting Tokyo! Speaking of traditional Japanese merchandise, the Kyoto Center’s re-opening campaign started this past Saturday (March 16th)! 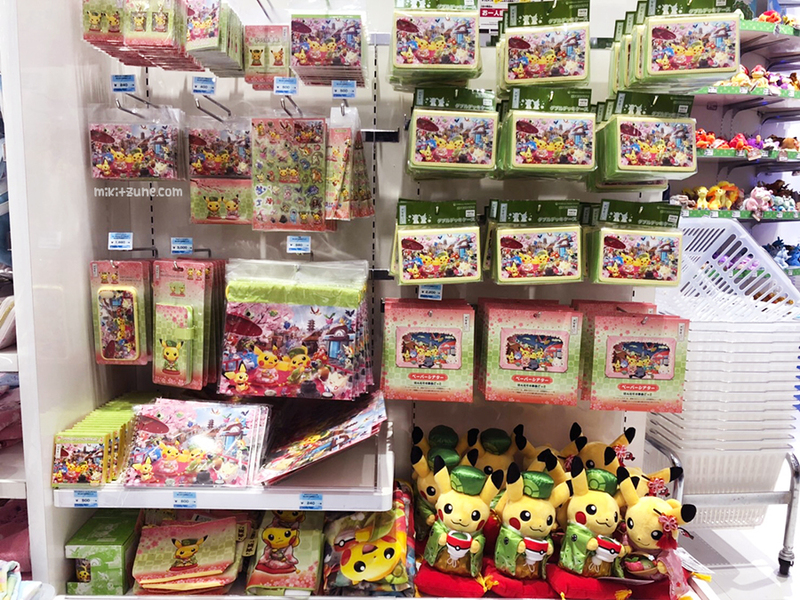 The Pokemon Center in Kyoto moved to a new location and as part of the re-opening, all Centers around Japan sold Kyoto inspired merchandise, including these two Pikachu boy and girl plush dressed in traditional kimono and drinking the most Japanese drink: green tea. 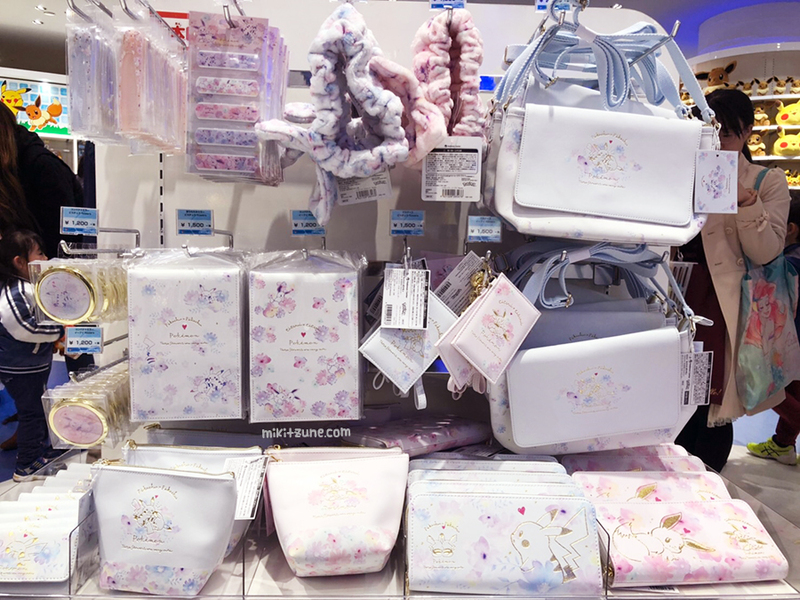 Along with the plush, the promotion also included: charms, keychains, several TCG related merchandise (card sleeves and a playmat), acrylic charms (blind packaged, of course), pouches, towels, a plethora of stationary, and other cute items! For this release, the only merchandise exclusive to the Kyoto Center were the mascot plush versions of the two main Pikachu plush. Last but not least! The Pokemon Center’s Easter promotion for 2019 went on sale this past Saturday alongside the Kyoto release. Similar to last year’s Easter release, the two main plush featured Pikachu and Eevee with flower crowns, although this year’s plush have significantly different patterns and the crown contents differ as well. I personally prefer last year’s designs better. Last year, there were only mascot plush of Pikachu and Eevee, but this year along with the two mains, we also got Plusle, Minun, and Buneary, all sporting adorable flower crowns. As with all promotions, there was more than just plush. The line-up included: a bunch of stationary related items, pouches, bags, towels, and the popular blind packaged acrylic charms… in Easter eggs! Because of course. 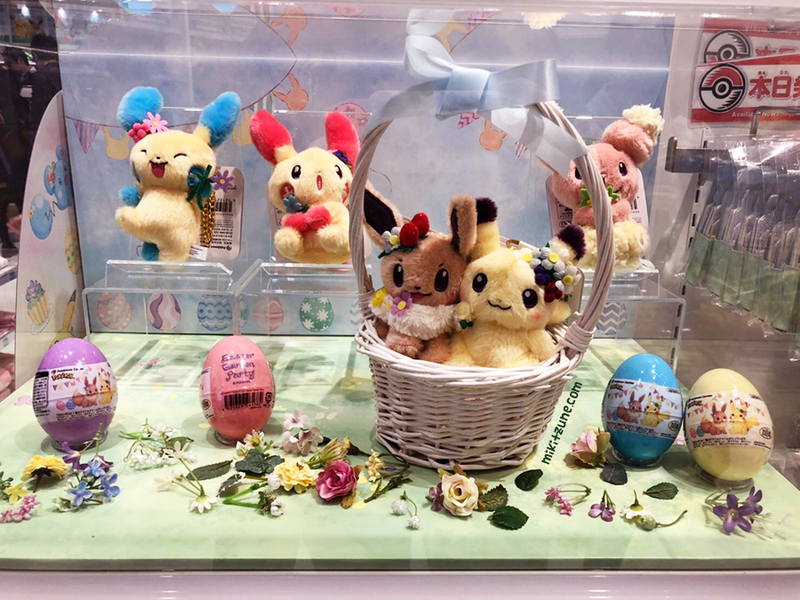 Along with the Easter line-up, there was also an unannounced set of merchandise with a pastel flowery theme featuring both Pikachu and Eevee called Pikachu & Eevee Flowers. The designs are more subtle so if you like cute things you can use in your everyday life, as well as Pikachu and Eevee, then this was clearly made for you. That wraps up this week’s Pokemon Center Report!